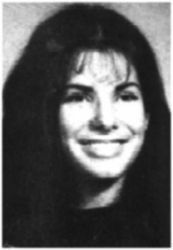 Sandra Annette Bullock was born on July 26, 1964 to Helga and John Bullock in Arlington, Virginia. As a child she would travel with her parents to Germany where her mother was a renowned Opera singer and her father a voice coach. She attended Washington Lee High School, the same high school Warren Beatty and Shirley Maclaine attended. 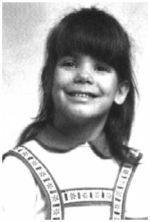 In order to fit in with the other students in her school, Sandra became a cheerleader and was known even then for her fantastic sense of humor. She also had a tremendous crush on shock jock, Howard Stern back when he broadcasted out of Washington D.C.
Sandra made many movies and television series that never quite made it. 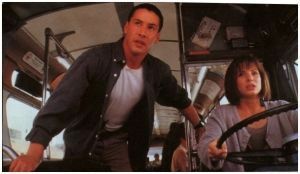 In 1993 she co-starred in Demoltion Man with Sylvestor Stallone and Wesley Snipes, but it wasn't until Sandra found herself behind the wheel of a bus that couldn't go below 50 or it would explode, that Sandra's career really took off. After Speed, Sandra had her choice of chum roles and that same summer had hit after hit with the coma-romantic comedy While You Were Sleeping and the internet thriller The Net. Since 1994 Sandra has made many movies and had her heart broken many times. She now likes to keep her private life private, but the whole world knew Sandra was hurting when her mother passed away from cancer in April 2000 while she was filming Miss Congeniality. While she might have been in emotional pain during the films creation, Sandra still pulled off one of the best performances of her career and was even nominated for a Golden Globe for Best Actress In A Comedy. When she isn't working, Sandra spends time at her Texas home and as much time possible with her younger sister Gesine and her father, who is now her manager.